Aren’t they just so fun and bright? . She has a great eye for putting colors and patterns together. They make me happy. What makes me even happier???? Is that we have some of these beautiful hair bows now! They are very well made and put together. I love the size of them too, they aren’t too big for the little ones heads. My daughter has had to have one in her hair ever since we got them. I tried to get a few pics of her modeling them today, but the sun was not shining! (Imagine that, in Florida!). You can get the gist of the size and the pretty colors though. Special Offer for the next week, you can get 20% off of your purchase using code Happy20 when you check out! There are going to be three winners this time. Hooray for more than one winner! Three of you wonderful readers will receive a hair bow of your liking. To enter, just leave a comment. Comments will be taken for the next week and winners chosen after using random.org. Love Love the Rainbow Bow! Thanks for the giveaway! My little girl could use some new bows! The bows are adorable! Would love to win for my granddaughters:) Thanks for the giveaway! Wow! I am so glad I found this site. What cute bows! I love them all, but among my favorites are the Firecracker, Green with Envy, It’s a Party, and the Mint. I LOVE the names too! Thanks for the chance to win! Thank you for hosting such a cute giveaway. The bows are CUTE!! Love the hairbows. With two girls, and another one due to be born in 8 weeks, we can never have enough hairbows. my girls would be thrilled to win! i love these hairbows!!! i wish i could get my daughter to be as happy about them as your daughter is! thanks so much for the giveaway. ps – congrats on your new little girl! Very bright and cheery bows! Would love to win some to use while trying to grow out my 3yr old’s bangs! .. such a chore. These bows are SO cute! Jaala looks like a perfect present in that last picture!! I love love love these bows!! What cute hair bows! My girls would look so cute in them! Love the rainbow bow. Your daughter is precious, she looks like a little package in the last photo:) Thanks for the giveaway! These are so cute! And your daughter is adorable, great photos. Thanks for the chance to win. We are ALWAYS a fan of new bows around here! Love the colors and the size… PERFECT! My little girl would look awfully cute sporting one of those girly bows! Love the adorable Bows- And adorable model too!! these are so cute! i too like the size! thanks! I love the strawberry bow. It is so cute. Love the colours used too, very bright and cheerful. They are all so cute! Very Cute. Would love to win. 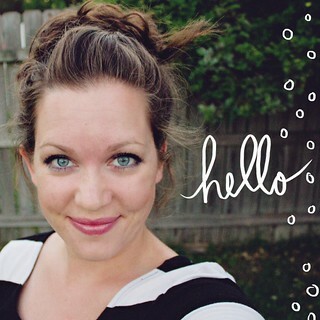 Just found your blog when looking for a letter template- love it! The bows (and your duaghter) are super cute! Love them all they are way to cute! So springy! Those are really cute! What a good eye for colors! 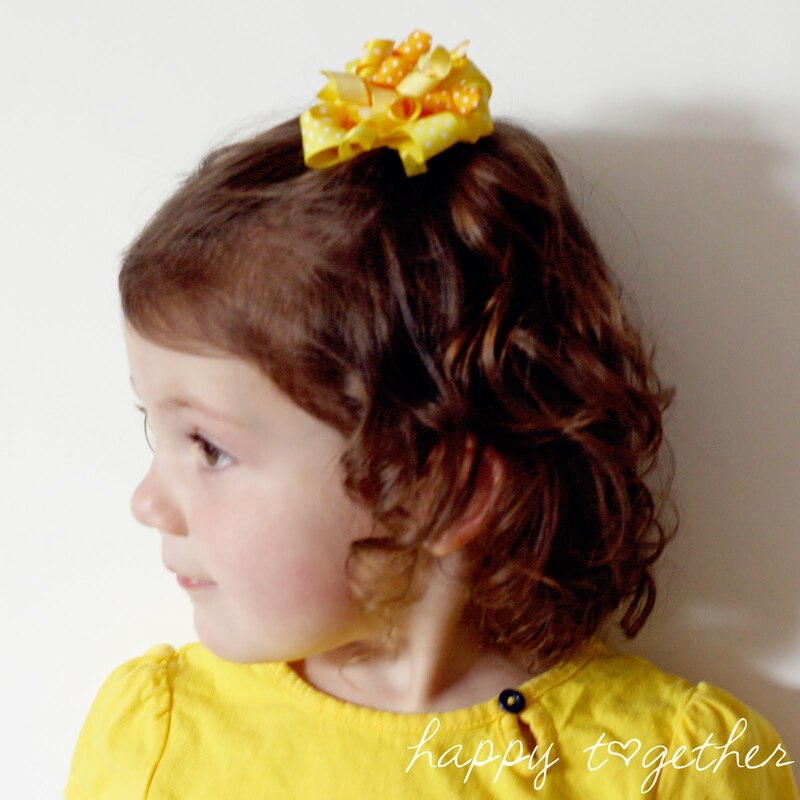 My little one has very thin hair but one of those flatter bows would work beautifully….and look awfully cute too! Thanks for the giveaway. Lovely hair bows! My daughter – who has to be a princess every day – would love these. I love the nice bright colors she uses – would look great on my daughter! I love the The Bright Stuff bow…so cute! Love, love, love them, Too cute! These bows are lovely, my girls would love them! Thanks for the giveaway. Those are really cute bows,I know I’d have a problem picking but I’m sure I could manage. Oh my girls would love those bows! Oh! I love the pink bow! These are adorable!! My daughter finally has enough hair to don a pretty bow like these! What adorable and cheerful bows! Wow, her stuff is so cute. I’d love to see it in my girls hair! Love these- thanks for the giveaway! Too cute! Hope I win! Love these bows!! I need one to match my little one’s easter dress! I love the Rainbow Bow…how fun! Those bows are just adorable, my girls would love them! Two little girls getting bigger and we’re going to need lots of cute hair bows! Love them! My daughter would love them. The first picture is a birthday bow for sure – that is what one of my grand-daughters would call it – and she would say “This is MY BIRTHDAY BOW!” what else would a 2 1/2 year old think? My oldest daughter (just turned 4!) would love the pink bow!!! She just adores ANYTHING pink!!! Please enter me!!! They are all so cute. your daughter is growing up and she looks beautiful with her bow modeling. These are so cute! The strawberry clip is adorable. I used to make all my girls bows and I haven’t made any for a LONG time. I would love to win this!!! Love your hairbows!!! thanks for offering the giveaway. Adorable model too!! These are so cute. I can’t wait till my baby girl grows some more hair so I can put gorgeous hairbows on her!! Cute bows, I’m just now being able to put them in my daughter’s hair. such cute bows! you can’t help but smile when you look at them. I know 3 little girls who would love these! Great Giveaway! Very cute hair clips. And your daughter’s curly hair is adorable! I love the mixture of fabrics and styles!! Korker with bows…adorable!! Oh I would so love bows. I have a daughter and a niece and they would look darling in them. Bows are so cool, we love them here in Manchester (UK) too, my little girl is obsessed with Minnie mouse and Daisy duck an their bows…..they can only help in the bribery that goes on in trying to get her to let me brush her hair! That’s if I can enter being all the way over here?? These are so gosh darn cute! We love hair bows!!! And your “Hair Candy” jar is on my project list! beautiful bows! perfect for summer ponytails! The strawberry bow is so cute. And your daughter is adorable! I just love putting bows in my daughter’s hair! These are great! Thanks for the giveaway! Such adorable bows. And your daughter is a cutie pie!